Sitakund Disaster management committee organized a disaster simulation at Sitakund Gov. High School premises on September 1 with the support of YPSA and Handicap International. This simulation brings to life the scenes of real disaster response operations. 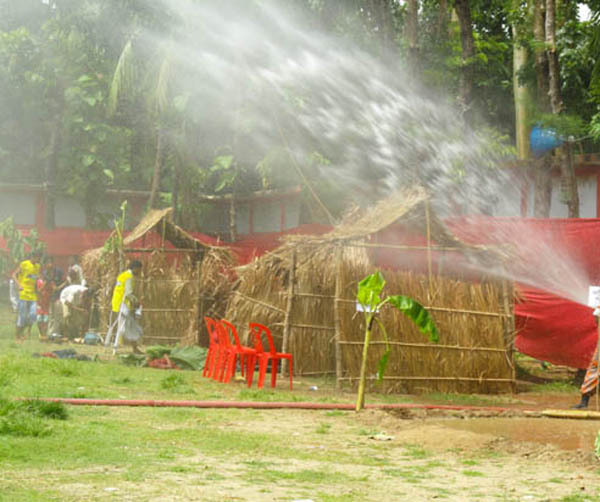 Trained volunteers, Persons with disability and firefighters attended the simulation program. 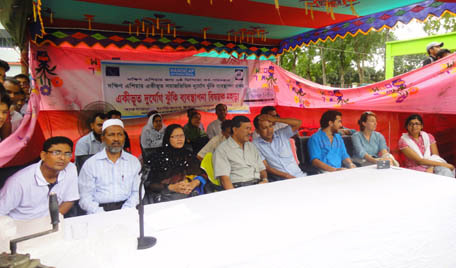 Abdullah Al Baker Bhuiyan, Upaziall Chairman was present as chief guest while Bitali T Islam, Country Director of Handicap International was the special guest in the program. Natural disasters cannot be prevented, but the disaster risk can be alleviated by enhancing capacities and reducing vulnerabilities. Persons with Disabilities are more vulnerable to disasters than others. The socio‐economic and physical vulnerabilities make them very susceptible to disasters. They are often excluded from disaster preparedness response efforts. Inclusion of persons with disabilities in disaster risk reduction is not an easy task. It requires technical skill, knowledge and positive attitude of the people who are closely working with this issue. This type of simulation can ensure and generate such kind of technical skills, knowledge and positive attitude.